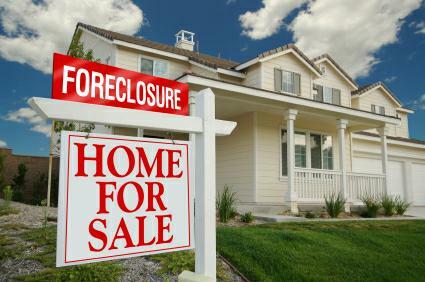 Foreclosures, Bank Owned, Short Sale, Pre-foreclosure or In-Foreclosure! With over 9,000 homes in some kind of distressed sale in Orange County, Seminole County, Volusia County, Lake County and Osceola County, you need to have a professional to help you sort this chaos out. Someone who can find you the best available deal that fits your needs, whether it will be you primary home or an investment home. Distressed sales resulting from bank foreclosures often results in a great way to buy and get a fantastic deal on a home. If you don’t want to spend your day scouring the paper or the internet in the hope that you will find the right deal, LET US DO THE LEG WORK FOR YOU, IT IS FREE. Let us demonstrate what we can do for you, if you CLICK HERE you will be taken to a demonstrative website that shows the results of a search for all Bank Owned properties in Orange County about 700 to 1.000 units. We recommend that you narrow the search a little bit and tailor it to you needs and wishes as 700 to 1.000 units are difficult to work with. Just click on MY SEARCH and tell us about your needs and wish and we will create a search site for you, and it is FREE and comes with no obligation from you. The most common question that we get about distressed properties is: What is the risk in buying a distressed property? Let’s look at the different types of distressed properties and what to expect from each type. SHORT SALE: Is a property where the owner is two or more months late on his mortgage payment and realizes that he will not be able to continue payments on his mortgage, but the lender has not started the legal procedures of foreclosing on the mortgage. This is also called PRE-FORECLOSURE. To avoid foreclosure the owner has listed his property in the hope that it will sell prior to the foreclosure of the property. When making an offer on a short sale, the offer is sent to the Loss Mitigation Division of the mortgage company and sometimes it can take a long time to get an answer from them, in the worst case scenario up to six months, but today most lenders have realized that they need to work faster to solve the problem. IN-FORECLOSURE: This is the stage of the foreclosure procedure when the lender has started the legal filings with the court and called in the loan. At this time it is only a question of time, whether someone will buy the property on the Court House steps or if the owner is one of the lucky ones that can get his loan modified. Homes that are in-foreclosure can also be sold as a Short Sale and we might have to wait some time for the banks response on contracts. FORECLOSED ON HOMES: Homes that have been foreclosed on, belong most of the time to the lender as the foreclosure auction is most of the time unsuccessful and does not result in a bid. 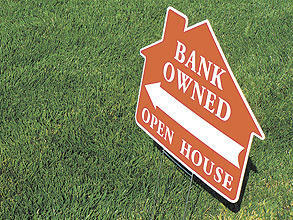 The lender owned homes are now called REO (Real Estate Owned) or Bank Owned homes. Lenders are much quicker to respond to offers on their own properties and will give an answer within a week. 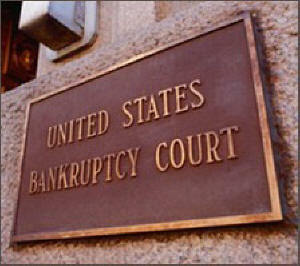 On all these types of foreclosures you can ask for a warranty deed at closing backed up with title insurance. So your main risk is that these homes are offered in their AS-IS condition and that requires you to do your home inspections, to ensure that you are not buying a defected property. Most Realtors will add an inspection clause to their contracts that states: “If Buyer determines, in Buyer’s sole discretion, that the Property is not acceptable to Buyer, Buyer may cancel the Contract” and then the Buyer will of course get his escrow funds back. The bottom line is if you know your contract and your obligations and in a timely manner follows, what is written in the contract, you should be able to avoid any and all risk in buying a distressed home.